Wait, isn't Healthcare Reform already law? Employers have spent their time and money complying with the required notices and managing, at times substantial, premium increases as they comply with the new law. Now the debate will resurface with a big question mark on the validity of the law. A number of lawsuits surfaced after the passage of PPACA and because of the sensitive nature of this issue, it has been fast-tracked to the Supreme Court. This now leads us to the oral debates which are scheduled to begin on March 26. As we look at the topics that will be discussed in the six hours of oral arguments, there are a few keys areas of interest to keep an eye on. I have highlighted a few areas below that we are sure to hear addressed in the media as the debate begins to resurface. Let's first set the stage with a few compelling numbers (provided by NPR) on Healthcare in America, by looking at how this issue impacts our economy and where health coverage is currently being received. We have a problem in America with the accessibility, delivery and cost of healthcare. Interestingly enough, the government is already providing coverage to nearly half of the population. So for the remaining population, the question for the Supreme Court is whether Healthcare Reform (Patient Protection and Affordable Care Act - PPACA) is constitutional in it's goal to resolve the issue of Americans being uninsured and making the cost of insurance affordable to everyone. Can the government really REQUIRE all it's citizens to purchase private medical insurance? As of 2014, PPACA will require that all citizens and legal residents have health insurance (otherwise known as the "individual mandate") which is made easier with the removal of pre-existing condition limitations. If you are not covered by an insurance policy then you will incur a penalty. The constitutional question at hand is whether the federal government can regulate inter-state commerce and require citizens to purchase a private insurance policy. You may ask how this is different then being required to buy car or homeowners insurance. In simple terms, the difference is that you choose to use a car or buy a home but you do not choose to be a citizen. If one section of a PPACA is removed, does it REVOKE the entire Act? Most of the time a bill will include a clause allowing a portion of it to be removed (severed) without requiring the whole bill be thrown out. However, PPACA does not contain a severability clause which begins the debate of whether removing one section, such as the individual mandate, would revoke the entire bill. The question is, did Congress just "forget" to include this clause or was it not included by design? Does removing a section such as the individual mandate disrupt the other clauses in the bill so much so that the whole bill should be revoked? If the severability clause was not included by design and a portion of the bill is found unconstitutional, this strategy may backfire on the authors. A TAX or a FEE, how do you classify the penalty for not having medical insurance? This may seem like semantics to you and I but under the law this is an important distinction. The Anti-Injunction Act of 1793 states that a tax may not be challenged until it is paid. PPACA supporters once said the individual mandate penalty was a "penalty" but they have since reversed their position to state it's a "tax". The advantage for supporters now is that if it is a tax, a decision on the individual mandate could be delayed until after 2014 when the tax is imposed. However, since there has been some "flip-flopping" on this label, it is assumed that the Court will review the history as it makes a determination. 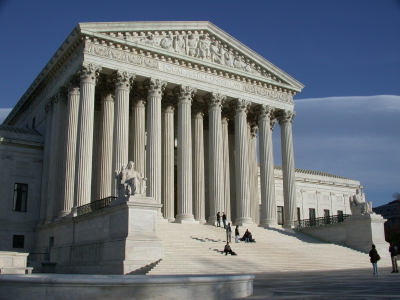 As the Supreme Court hears the oral arguments on PPACA, many more issues will arise and receive media attention. It is not expected that a decision from the Court will be released until June 2012. We can all hold our breath and continue to tip toe into the new PPACA requirements until we hear from the Court.